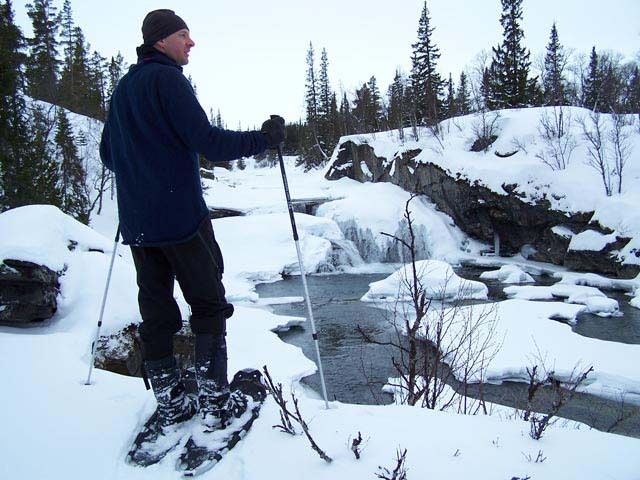 We love the snow at Nature Travels and, in addition to our wide range of dogsled tours, we offer many options for cross country skiing and ski touring. As an ecotourism company, we don’t offer any skiing that relies on lift networks, but do have many options for hut-to-hut touring, cross country skiing and backcountry wilderness ski tours. But what’s the difference between the equipment used for these types of skiing? You’ll hear a number of terms used to describe the various types, and often these are used interchangeably or used in different ways depending on the country or context. When people talk about cross country skiing, they are generally referring to skiing on predominantly flat terrain, using thin skis and lightweight boots and often skiing on prepared tracks. Considerable distances can be covered by experienced skiers. This is the type of skiing featured on our Cross Country Skiing in Eastern Finland and Cross Country Skiing in the Finnish-Russian Borderland experiences, which are tours between guest houses with luggage transfers. Cross country skis. Photo: Avril Corbett. This is “classic” cross country skiing, where the legs move in a backwards and forwards motion similar to walking and, if skiing on prepared tracks, these will be parallel grooves. There is also “skating” technique, where skis go out diagonally to the sides in a skating motion. This technique requires specially-prepared tracks different from the “classic” technique and skis which are stiffer and shorter than “classic” skis. 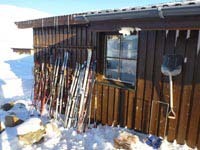 Though not a type of skiing as such, “forest skis” are very popular in the Nordic countries as an ideal way of moving through the winter landscape (especially in deeper snow) and are commonly featured at our Winter Active Accommodation experiences as equipment for self-guided tours in the surrounding area. 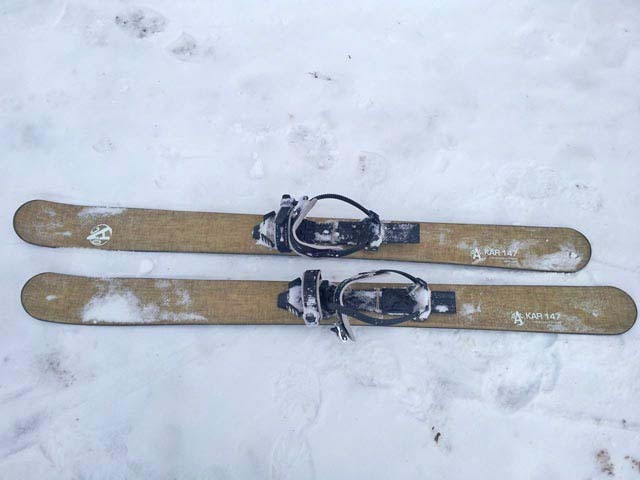 These are wider/heavier and not as sophisticated as “proper” cross country skis, and have bindings which are used with normal winter boots rather than special cross-country ski boots. Forest skis. Photo: Caroline Bennett. This can go by many different names, and many of the terms are used loosely or interchangeably. 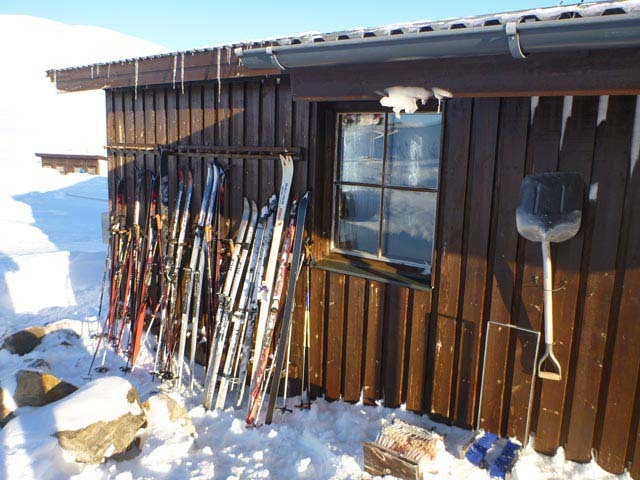 In Sweden and Finland, “ski touring” refers to hut-to-hut touring as for our Ski Touring on the King’s Trail and Discover Mountain Ski Touring in Lapland experiences in Sweden, for the Halti itinerary of Backcountry Skiing and Northern Lights in Finnish Lapland and for Introduction to Backcountry Skiing in Langsua National Park in Norway. 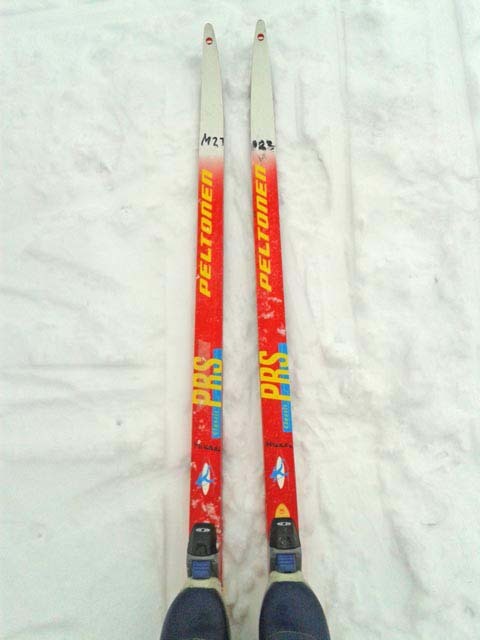 The skis used are similar to cross country skis, but with sturdier boots more similar to hiking boots. Skis for Nordic touring. Photo: Maurice Strubel. Climbing skins, which adhere to the underside of the skis to provide greater traction when going uphill and are then removed for descents, may be used for steeper ascents but are often not required. 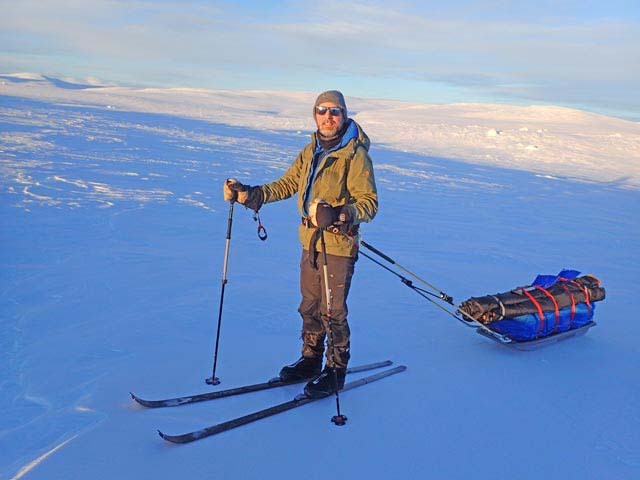 Nordic touring skis are slightly wider and more stable than cross country skis and the boots are more similar to hiking boots. Photo: Nature Travels. To add to the confusion, the Lemmenjoki itinerary for Backcountry Ski Touring in Finnish Lapland uses different skis depending on which tour you choose! For the Halti itinerary of the tour, tours use skis similar to those described above for the King’s Trail, which provide improved control for descents. 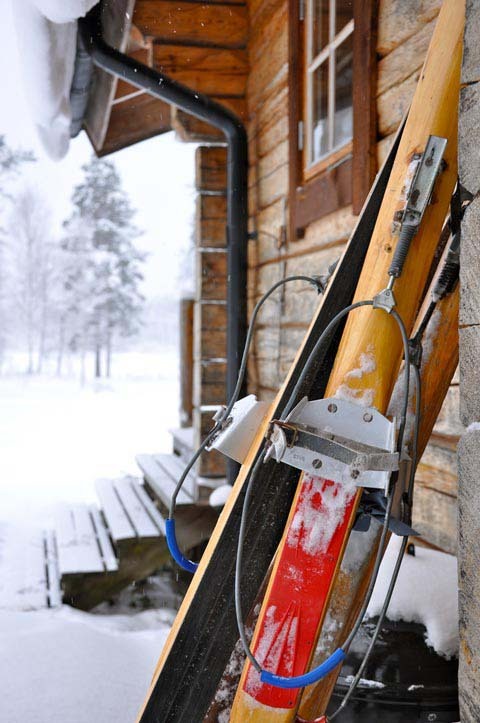 For the Lemmenjoki itineary, the tour uses OAC Kar skis, which are shorter and broader and have bindings that go with any winter boot. These are ideal for touring on flattish terrain when you are pulling a pulk, etc, and are easy to use for those with limited skiing experience. OAC Kar skis. Photo: WH. 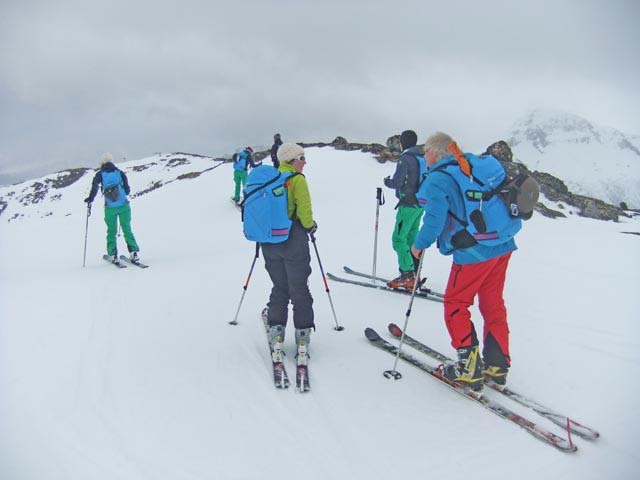 Elsewhere, including in Norway or the European Alps, “ski touring” will often mean “Alpine ski touring”, that is much steeper ascents, either done as day tours or sometimes as part of a point-to-point trip. The Swedes call this a “topptur”, or “peak tour”. The skis and boots used are more similar to downhill skiing, but with a heel which can be freed for climbing and fixed for descents (unless using Telemark equipment, when the heel is always free even when skiing downhill). Skins are used for the ascent, which may take several hours, and the skins are then removed for a thrilling off-piste trip to the bottom. This type of skiing is also sometimes called “ski mountaineering” or “randonee skiing”. We don’t currently offer this type of tour (but we may do in the future!). Alpine ski touring. Photo: Nature Travels. Any of these, when they are “off-piste” skiing away from prepared trails, are also sometimes referred to as “backcountry skiing”. Sometimes considered the poor relation to cross country skiing, we believe snowshoeing deserves to be appreciated as an excellent option for moving around in winter. 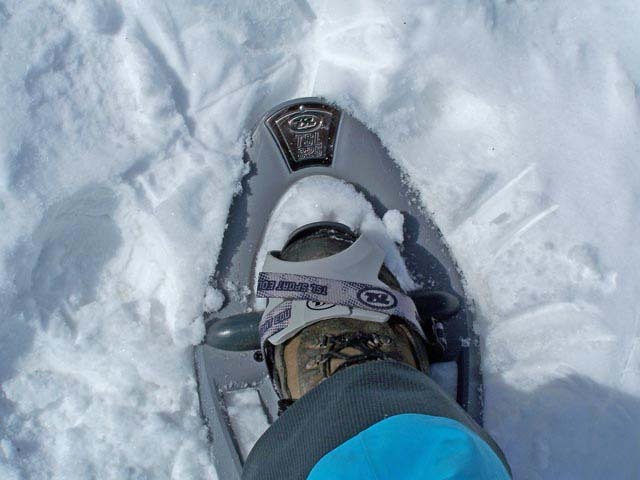 You may not be covering the same distances as you would on skis (depending on snow conditions, when snowshoeing around 1-2km/hour would be typical), but snowshoeing requires no previous experience and also allows you to travel through terrain which may be unsuitable for skis. Our Snowshoeing in the Hossa National Park in Finland is a dedicated hut-to-hut snowshoe tour, while snowshoes are also available to borrow for self-guided excursions at many of our other winter experiences. Out on a snowshoe tour. Photo: Nature Travels. Still confused? Quite possibly! But rest assured that whichever option you choose, they’re all great fun and wonderful ways to experience the stunning winter landscapes of Sweden, Norway and Finland!